Provide comfort for the family of Martena Clifford with a meaningful gesture of sympathy. Martena B. (Sullivan) Clifford, 90, peacefully passed away on Saturday, April 13, 2019, at Hartford Hospital. Daughter of the late Phillip and Helen (Finnemore) Sullivan, she was born on October 10, 1928. She was a beautiful soul and gentle spirit who cherished the time spent with her granddaughter and great granddaughters, who were her pride and joy. Martena is survived by her granddaughter, Martena Campanelli and her husband Joseph of Enfield; her great granddaughters, Gabrielle and Rachel Campanelli, and many extended family. She was predeceased by her son, Norman. Services will be held privately, at the convenience of the family. In lieu of flowers, memorial contributions may be sent to the Hartford Healthcare at Home, 1290 Silas Deane Hwy #4b, Wethersfield, CT 06109. To leave online expressions of sympathy please visit www.leetestevens.com. We encourage you to share your most beloved memories of Martena here, so that the family and other loved ones can always see it. You can upload cherished photographs, or share your favorite stories, and can even comment on those shared by others. Provide comfort for the family of Martena Bernice Clifford (Sullivan) by sending flowers. We have fond memories of the years when Martena and family visited on the Tobique here in New Brunswick. So sorry to hear of her illness and passing. Our thoughts, love and prayers during this time of sorrow and loss. Lavergne (Garfield and Myrtle Sullivan's daughter) and husband, Fred. In loving memory of a dear sister. Even though we were unable to spend a lot of time together in later years, she was never far from our thoughts. Have great memories from early childhood and throughout the years. 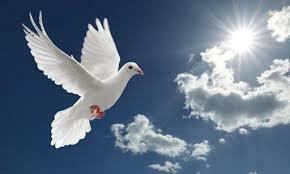 Our sympathies to the family members in Conn.
Our sympathies for the loss of a loving aunt and grandmother. Sorry that distance made it impossible to see more of her. we have many pleasant memories of her visits to NB.